Our players learn in sessions and camps; the real test of improvement is in the heat of competition. The fusion of training and competition is the core objective of our leagues. BiddieBall® is a league for our youngest players. With teams for ages 5 through 10, it affords the opportunity to continue learning the basics of the game in the real game environment. Practices get competitive; games add another level of urgency and uncertainty, expecially for new players. 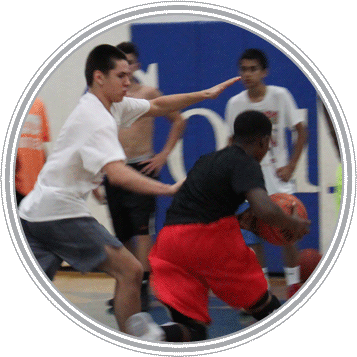 The BiddieBall® league provides game experience while still teaching players the fundamentals. Both boys and girls are welcome. BiddieBall® leagues occur several times during the year.